LF has just announced a new show - Star Wars Show. 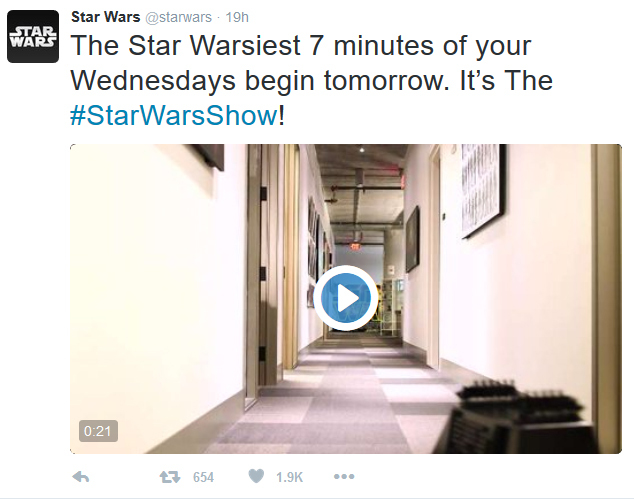 It is rumored to be a weekly 7 minute weekly web-series that gives all the latest star wars news (on the same lines as Rebels Recon). It is supposed to start today (11 May 2016). This is the first episode of the web series. These are the other three that have aired on the channel. PH is a lot of fun in this episode!